Chicago Lakefront’s Playground is at Navy Pier. 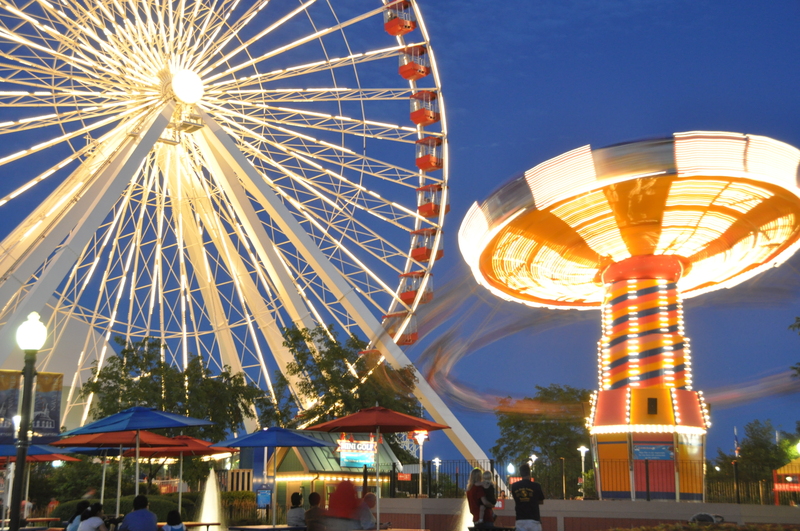 Consisting of rides and attractions, Navy Pier offers fun for the whole family. Here is the ferris wheel and swings in action at Navy Pier. This entry was posted in Amusement, Chicago and tagged Chicago Lakefront's Playground, Navy Pier, Navy Pier amusement, Navy Pier Ferris Wheel, Swings at Navy Pier. Bookmark the permalink.